The Boy at the Keyhole screams gothic from its opening pages. A nine year old boy is being both nursed and chastised by the housekeeper in the kitchen of a rambling English house in Cornwall. The year is 1961 and Samuel Wade, whose father has died, is being cared for by the housekeeper Ruth while his mother is in America trying to rescue the family fortune. The house itself is full of secrets and is fertile ground for Samuel’s imagination to run wild particularly when his best friend Joseph suggests that perhaps his mother is not actually away but has been killed by Ruth. Australian author Stephen Giles has previously written books for children (the equally gothic Ivy Pocket series written under the pseudonym Caleb Krisp). 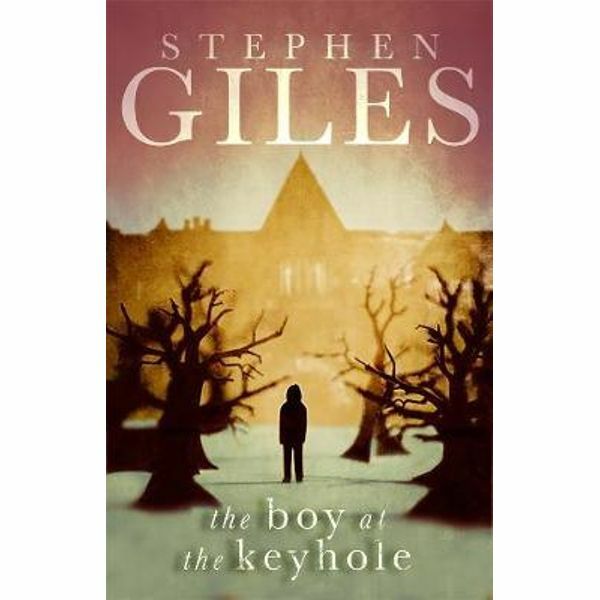 The Boy at the Keyhole is his first book for adults but very much locates itself in a child’s point of view. While this is not a first person narrative, everything the reader knows or sees is from Samuel’s perspective. And this is important as it makes it possible to see how he misinterprets everything around him to fit within his point of view. Samuel’s is a point of view that is clearly influenced by being raised on his own in an old English house in a tiny village in Cornwall. Meanwhile, for adult readers a different picture emerges of the relationship between Samuel and his mother and the role that Ruth might have played. It is testament to Giles’ skill that he manages to maintain both levels in the narrative. Giles ramps up the tension mainly by through Samuel’s increasing belief that Ruth did kill his mother and that the next piece of evidence will give the game away. In his nine-year-old mind he is a super detective, assembling clues, and yet he is caught out by Ruth practically every time he attempts something sneaky. But each time he fails, he manages to twist the facts to fit his internal narrative. And each partial revelation leaves readers to constantly consider: what if Samuel is right? While the book is set in 1961, it has much older gothic overtones. From the empty manor house full of locked doors and multiple staircases, to the nosey townsfolk, to a belief in malevolent spirits. Giles manages to effectively capture a mood and a style without feeling like he has descended into pastiche and without resorting to anything supernatural. Giles understands that this level of tension can only be maintained for so long , so The Boy at the Keyhole wraps up fairly quickly. And while the ending is satisfying on one level, based on everything readers have learned, it is both highly coincidental and a little logically dubious. But in terms of the core of the book, the relationship between Ruth and Samuel, Giles manages to move it to a completely new place but also leave much to the gothic imagination.